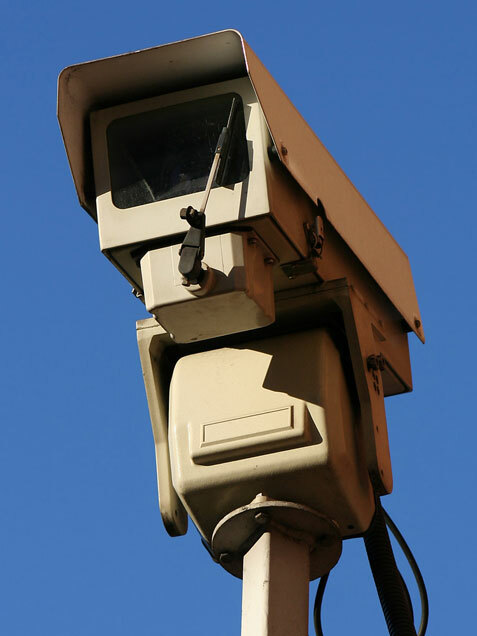 A CCTV surveillance camera is photographed in a blue sky. This camera will alert authorities if there is a crime on the property, and will also serve as a deterrent to trespassers. Surveillance cameras protect privacy and also provide a record of activity in the area.